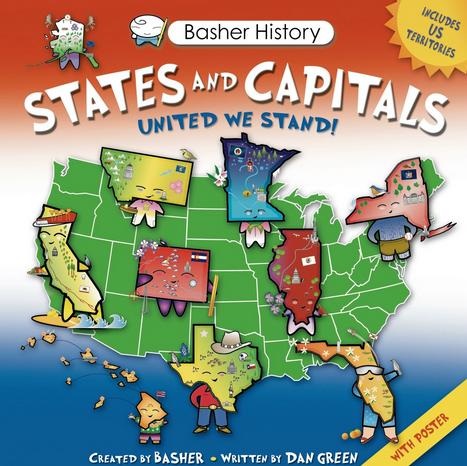 At our school’s recent book fair, my 10 year old picked up this book: Basher History: States & Capitals – United We Stand ($8.09, Amazon). He’s in 5th grade and will be learning all of the states and capitals this year so I thought it was great that he bought this. Colorful and animated, I wasn’t surprised either – this book actually makes learning fun! 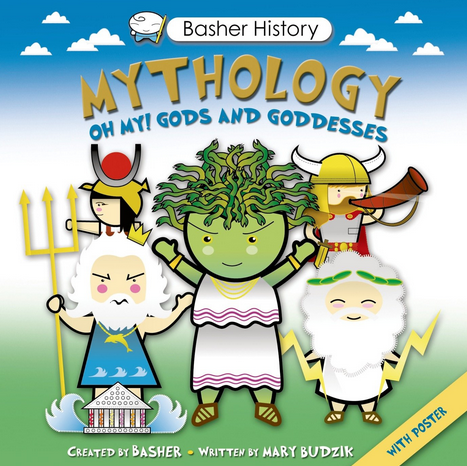 As I started flipping through it, I realized it was not only educational but entertaining – the folks at Basher History have a sense of humor and their witty insights even amused and kept me entertained! But the best part is that HE loves this and was flipping through it and hopefully absorbing and learning some of the facts. For fun! I was definitely impressed with this one. Basher also have books about the US Presidents, Basher Science – Oceans, Human Body – A Book with Guts, and more! I’m all over ordering a few more of these for the holidays. « Whoa. Seriously Awesome Deal for a Jawbone UP (like a Fitbit) – 10 Hours Only!